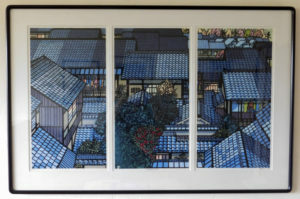 Clifton Karhu, an American born in Minnesota, drew his inspiration from the teahouses, temples, and environs of the ancient capital of Kyoto where he lived with his wife Lois from 1955 until his death in 2007 at the age of 79. 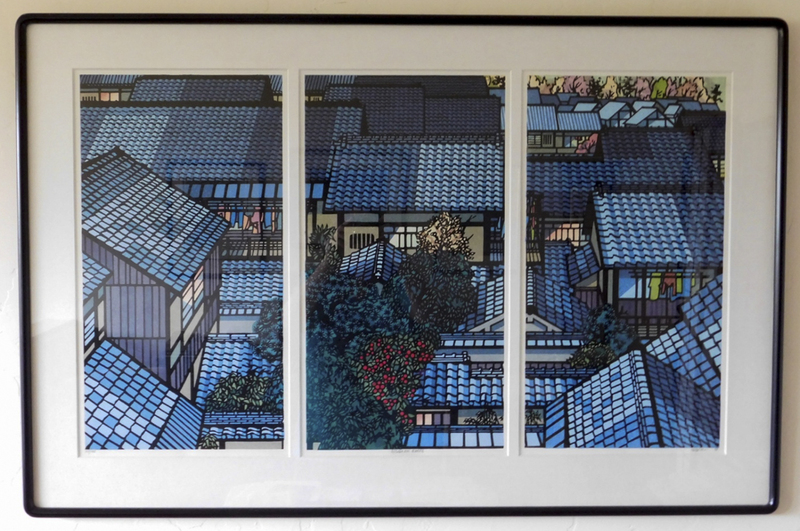 Highly skilled in the art of traditional wood block techniques, Karhu captured the spirit of Kyoto’s charming scenery and landmarks with vibrant color, stylization of architectural and nature elements and strong overprinting of black line. A master at creating special effects and moods through the use of light, shadow, rain and snow, his distinctive renditions of the traditional seen through modern eyes holds strong appeal for collectors worldwide. Dressing only in kimono, and also skilled in the traditional arts of carving netsuke, seals and flutes, Mr. Karhu was the first non-Japanese member of the Japan Print Association and the only foreigner to serve as President of the Association’s Kyoto chapter. He studied at the Minneapolis Art School from 1950 to 1952.